With the release of patch 6.2, the Normal and Heroic difficulties of World of Warcraft’s newest raid Hellfire Citadel have opened. As always it’s the best way to obtain strongest gear. So, it’s worth finding a group. Learning the basics is a must though and Line of Sight’s two-minute-long animated guides might be the best way to do that. Their clips are short and the animations make everything clear. What are the roles of a certain class or spec, where to stand during phases, and so on. 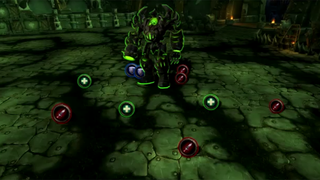 Hellfire Citadel’s a relatively large place with 13 bosses and Line of Sight is currently at the third one with their clips. They’re uploading things really fast so worth checking back later for the rest.